Welcome to the beautiful town of Granite Bay, California. This charming community is located in Placer County, just 30 miles outside of Sacramento, in the hills of Northern California. This lovely suburb is one of the most highly desirable in the Sacramento Metropolitan Area. Granite Bay CA Real Estate is some of the most sought-after real estate in the area thanks to the town’s high quality of life. Residents of Granite Bay enjoy its’ convenient location, excellent schools, low crime rate and wide range of recreational activities. The quaint suburb of Granite Bay is just a short 30-minute drive from all of the excitement and conveniences of Sacramento. Despite its’ close proximity to the city, the community offers residents a quiet and laid back lifestyle. Granite Bay CA Real Estate is some of the most luxurious and spectacular in the area. The town sits on the edge of the beautiful Folsom Lake, which is located on the eastern edge of the city. The perfect place to raise a family or enjoy an active retirement, Granite Bay has so much to offers its residents. It’s beautiful natural setting and close distance to Sacramento truly gives the best of both worlds. Hiking, biking, rafting, birdwatching and boating are just some of the ways to get out and enjoy the great outdoors in Granite Bay. With its luxurious homes, high quality of life, and stunning setting Granite Bay CA Real Estate is truly one of a kind. Are you looking for a home in a beautiful, quiet community that still has all the conveniences of the big city? Look no further than Granite Bay. Let the team at Fine Homes Network help you find the perfect piece of property to meet all your needs. 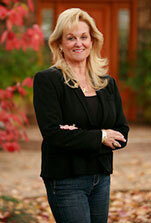 Their knowledgeable and experienced team of agents are experts in the area. Whether you are seeking Lake of the Pines Real Estate or Nevada City Homes for Sale, the Fine Homes Network can help you find exactly what you are looking for.